I was in the grocery store recently and a very, let me repeat that, a VERY elderly yet polite lady bumped into my cart. It had been a long hot day so I took responsibility, apologized, and blamed me spacing out and wandering into her lane on my Multiple Sclerosis (MS). After a smile and a trade of a peasantry or two the subject of age came up. I don't remember how or why, but she guessed my age at about fifty, FIFTY! Now, I'm old, but come on! That's when I started looking for a way to, maybe not look "younger" but at least my age! I told everyone who would listen that I didn't wanna go under the knife, but I desperately needed a solution to my problem. 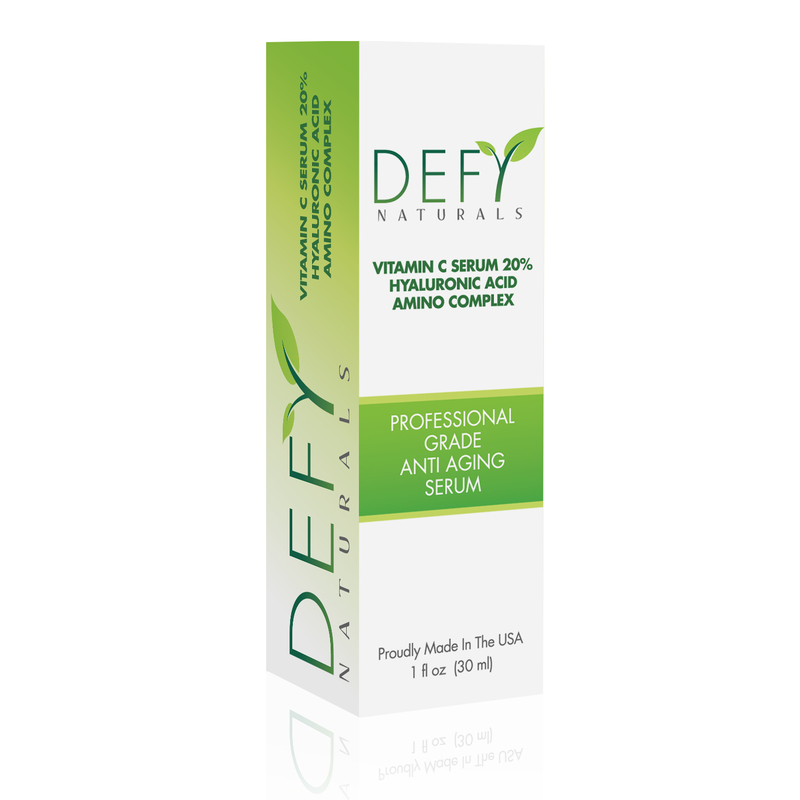 VITAMIN C SERUM by Defy Naturals sent me a sample in return for sharing my honest opinion about the product, and I have to say it was my miracle! ANTI-AGING - Vitamin C plays a critical role in preserving healthy, vibrant skin. However, as we age the Vitamin C in our skin decreases naturally. Add in UV light exposure, cigarette smoke and other pollutants in the atmosphere and the aging process speeds up even more. 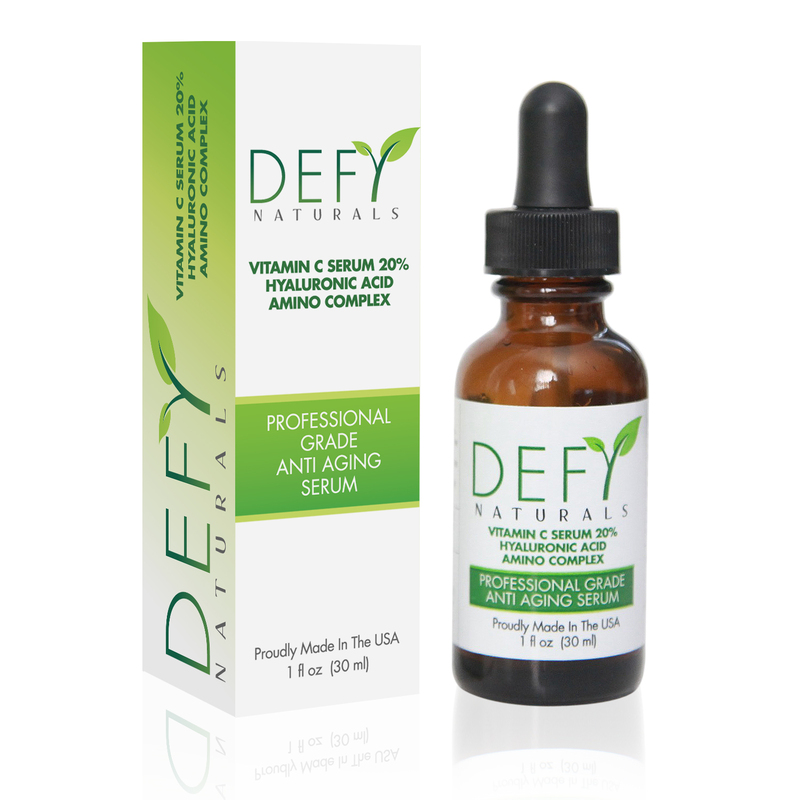 Using a concentrated Vitamin C serum like Defy Naturals slows the aging process and can even reverse it. CLINICAL STRENGTH FORMULA - Professionally formulated Vitamin C Serum to go into your skin to repair and reverse aging and sun damage, as well as regenerate new skin cells. This top-rated formula also contains natural extracts of aloe, thyme and chamomile to reduce redness and patchiness on your face, and to shrink pores for a beautiful, flawless, and youthful appearance. VEGAN-FRIENDLY - No cruelty solution that is safe for all skin types.